Japan’s outsourced animation leaves Chinese studios struggling for creative and financial independence. Inside a crowded workshop late in the evening, row upon row of workers sit hunched over desks, tools in hand. The more than 100 laborers have been working since 7 p.m., and won’t clock out until dawn the next day. 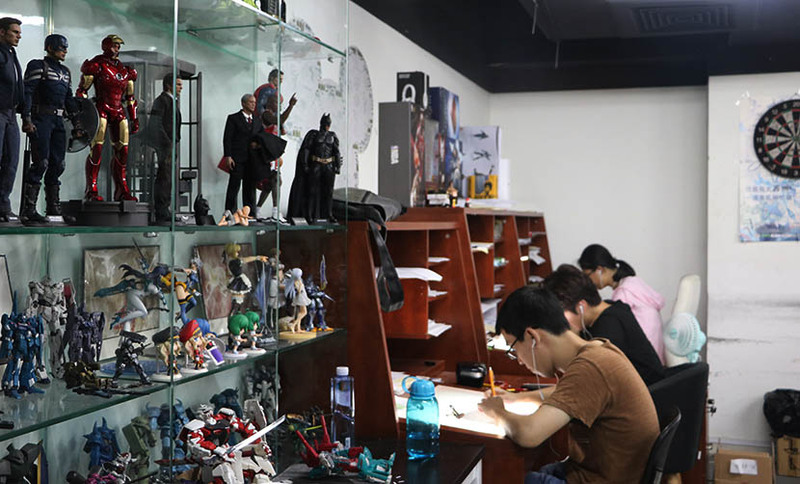 This isn’t an assembly plant in the industrial hub of southern China, but rather a studio of animators in eastern China who are on strict deadlines to produce outsourced work commissioned by a leading Japanese animation firm. This is a labor model common to the more than 30 animation companies around Wuxi’s National Industrial Design Park in China’s eastern Jiangsu province. 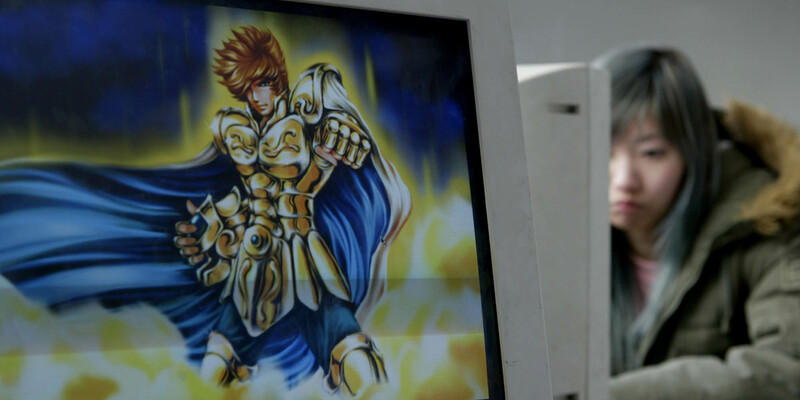 Numerous comic characters that end up on Japan’s TV screens have their roots here, yet audiences are seldom aware of the contributions of these overseas studios, which also exist in other parts of East Asia. Facing a lack of money and resources at the startup phase, many Chinese animation companies like those in Wuxi are turning to anime powerhouse Japan for outsourced assignments on an industrial scale. Many within the industry see the business model as a way not only to weather but also to reinvigorate a struggling domestic industry. Others, meanwhile, are finding that the assembly line-like work is chipping away at the motivation and creativity of Chinese animators. Along with the passion of individuals, dreams of a wider Chinese cartoon renaissance are tethered by the reliance on commissioned orders from Japanese studios. The predicament is one that animator Sun Meng knows all too well. Ever since he began dabbling in cartoons in his university days, 33-year-old Sun’s interest in animation has continued to blossom, culminating in him co-founding Shanghai-based studio Thundray in 2011. Like its counterparts in Wuxi around 140 kilometers away, Sun’s firm sustains itself on work commissioned by Japanese firms. At the same time, however, Sun has his sights set on his own projects that are independent of the company’s Japanese commissioners. There were some good painters. But in that infective environment, many of them just ended up drifting aimlessly along. Three years of working for a cartoon company in China’s northeastern Heilongjiang province led Sun to realize that the country’s industry lacked a solid foundation in animation theory. 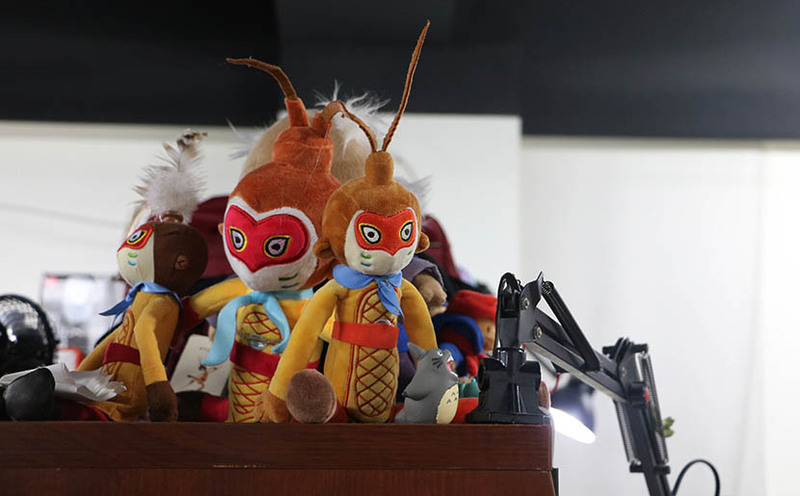 After leaving Heilongjiang in 2009, Sun’s concern for the future of Chinese animation led him to Japan, armed only with the few words of Japanese that he had picked up from his favorite cartoon series. After nearly a year of job-hunting, Sun finally landed a position as a junior conceptual artist at C2C, an animation company in Tokyo that outsources much of its work to China. In addition to creating animation, Sun was responsible for going on inspection trips to C2C’s subcontracted workforce across the East China Sea. 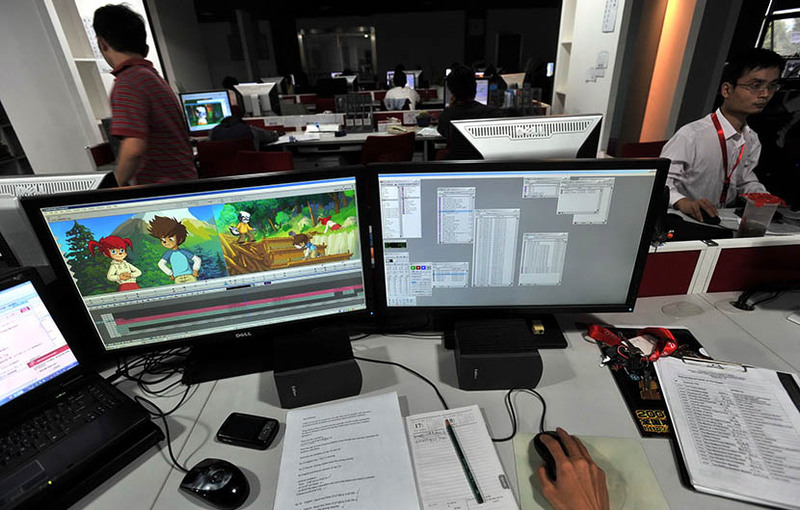 Deadlines of many of the animation companies in Wuxi coincided with the schedules of courier flights between Shanghai and Tokyo. Since many of Japan’s animation studios still insist on hand-drawn work, transferring material digitally is largely out of the question. Assignments arrive from Tokyo in the afternoon and are taken by car to Wuxi. They must be finished by 9 a.m. to catch the next day’s plane. Sun was taken aback by the shoddy quality of the drawings and the staff’s desperately low morale. But any attempt to raise the bar, he says, would only have antagonized the workers. Placing stricter quality demands on the unmotivated workers led them to delay their work on purpose, submitting projects around 7 a.m. and leaving Sun no time to ask for corrections or alterations if they were unsatisfactory. Liu Xiaojie, director of operations at Sun’s current company Thundray, understands where the workers’ dejection comes from. As a former employee of a Wuxi animation studio himself, Sun has witnessed many of his once-passionate, once-fresh-faced colleagues leave the profession after being beaten down by a cruel reality. Outsourcing also provides the company with a regular stream of income, which is crucial if Sun is to achieve his goal of creating original content. Combined with the cash injection the company received when it was acquired by Chinese animation goliath Alpha Entertainment in May, money earned from subcontracted work will fund Thundray’s upcoming original sci-fi series, which was initially shelved back in 2010 due to a lack of resources. 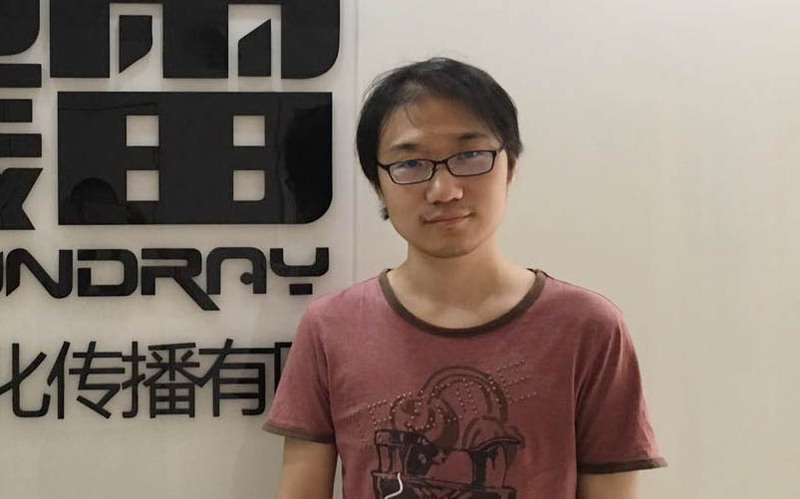 Regardless of the whether the new series bears financial fruit, it is likely that Thundray will have no choice but to continue to work with Japanese companies, however. “Our own copyrighted work is always the first to suffer when there is a conflict,” Sun says. Many of Thundray’s collaborative assignments with Japanese studios were hammered out in contracts a long time ago, while others come from partner companies with whom Thundray is expected to maintain close relations. “It is not easy to say ‘No’ to your friends,” Sun says. If Wuxi had a business card, the animation industry would be written all over it. But nearly no one knows of our existence. Unlike Thundray, which stands a chance of seeing success from its pursuit of original content, most companies in Wuxi have found themselves in an unbreakable cycle of reliance on Japanese outsourcing. One of those is JoJo, a studio of almost 100 employees founded in 2008 that operates solely as a subcontractor for its Japanese counterparts. Conceived as a factory to finish low-end and technically undemanding work, JoJo had at one point earmarked 3 to 5 million yuan ($450,000 to $750,000) for developing its own body of work. 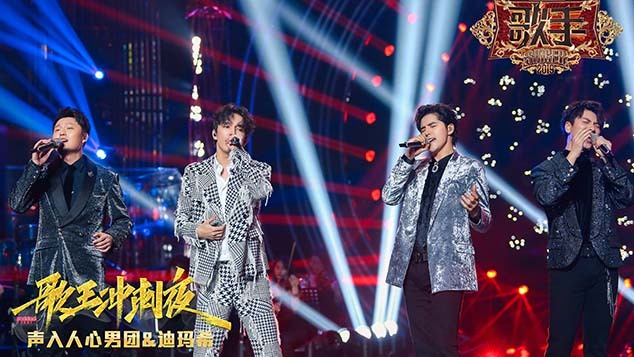 But according to JoJo’s manager Wang Feng, that venture met a brick wall when staff were reluctant to embark on an exhausting, long-term project whose success depended on viewer reception. Outsourced projects, though dull and repetitive, provide workers with a stable income considerably higher than that of most workers in Wuxi. Wang believes that the future of Chinese animation can only improve if the government reviews its cultural policies. Since 2004, China’s central and local governments have been implementing cash-injecting policies targeting the cartoon industry. But the subsidies have only led to a cutthroat climate where people clamor for state support regardless of the quality of their work, he says. Wang tells Sixth Tone that he was overcome with tears last year when he saw the domestic cartoon blockbuster “Monkey King: Hero Is back.” China’s most successful homegrown animation film to date, “Monkey King” made almost a billion yuan at the box office, and was beaten only by “Kung Fu Panda 3” and “Zootopia” as the best-performing animated movies to hit Chinese screens.